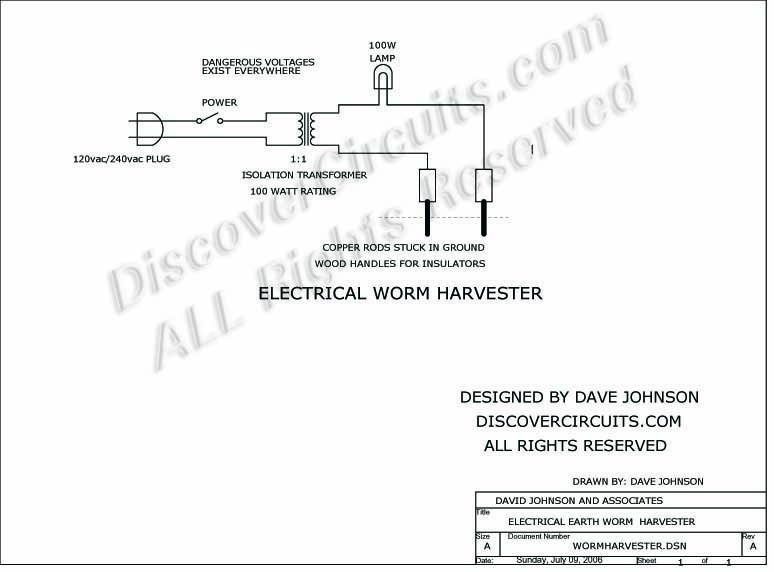 Hobby Circuit - Electrical Device Harvests Earthworms __ Circuit s designed by David A. Johnson, P.E. When I was a kid my engineer uncle built a circuit similar to the one below. My cousin and I used it to force earth worms out of the ground to be used for fishing. It worked like a champ. Please be careful since there is high voltage at the probe tips.